Wow everyone at your summer picnics and BBQs this year when you bring this amazing California Cobb Pasta Salad! 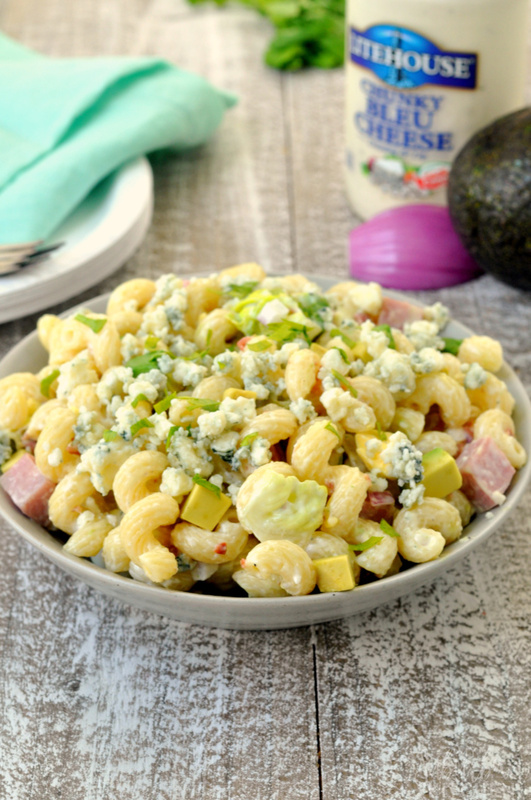 Diced ham, crumbled bacon, boiled eggs, red onion, tomatoes, lettuce, avocado, and blue cheese make up this easy pasta salad! Full of fresh ingredients and super easy to make, what more could you ask for?! Taking salad favorites and making them a little more friendly for picnics or BBQs is a total passion of mine. 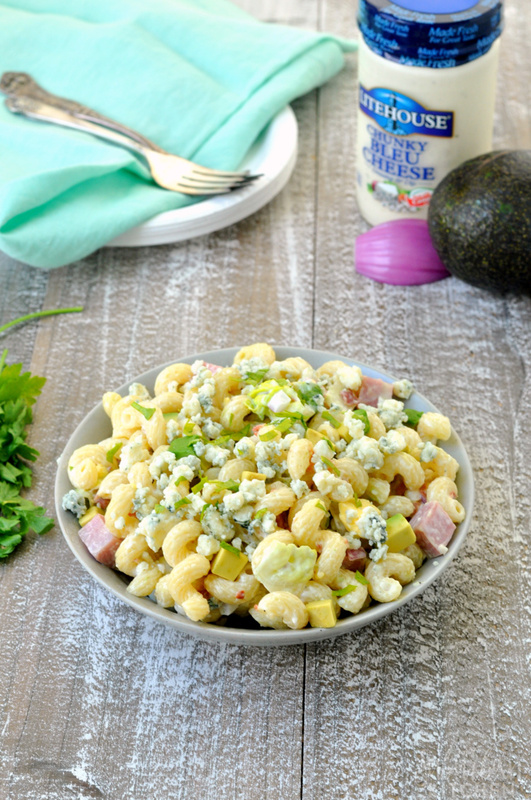 A California cobb is hands down one of my favorite salads so of course I had to create a California cobb pasta salad that is filled with creamy blue cheese, smooth avocado and, of course, bacon! 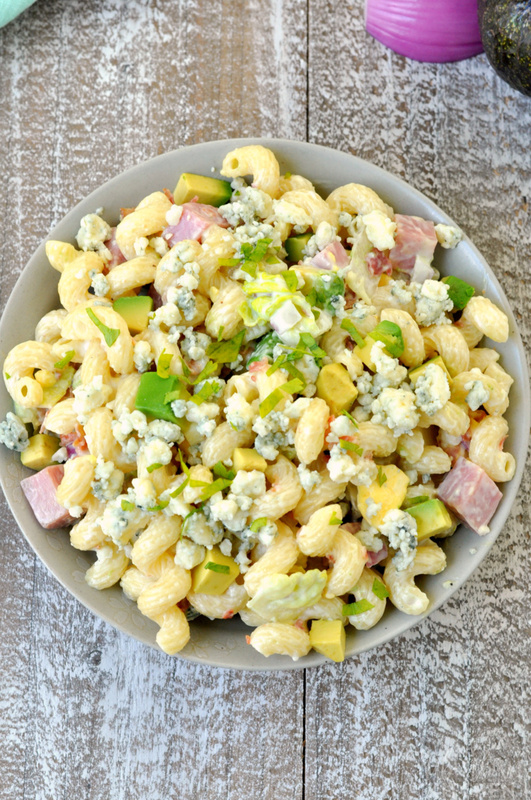 I make this California cobb pasta salad super easy to make by using a premade blue cheese dressing. Be sure to choose one that is refrigerated and comes with actual blue cheese chunks for the best flavor possible. A traditional California cobb includes chicken but I swapped it out for diced ham so I didn’t have to cook any chicken breast. It made it a little faster and easier. Obviously, feel free to use cooked, diced chicken in place of the ham if you prefer. You can definitely make this ahead of time but only put a tiny bit of dressing on to keep the pasta from sticking. Then, stir in the remaining dressing just before serving. I also usually add my avocado just before serving. If you need to take this on go, toss the avocado in some fresh lemon juice before adding it to the salad to keep it from browning. 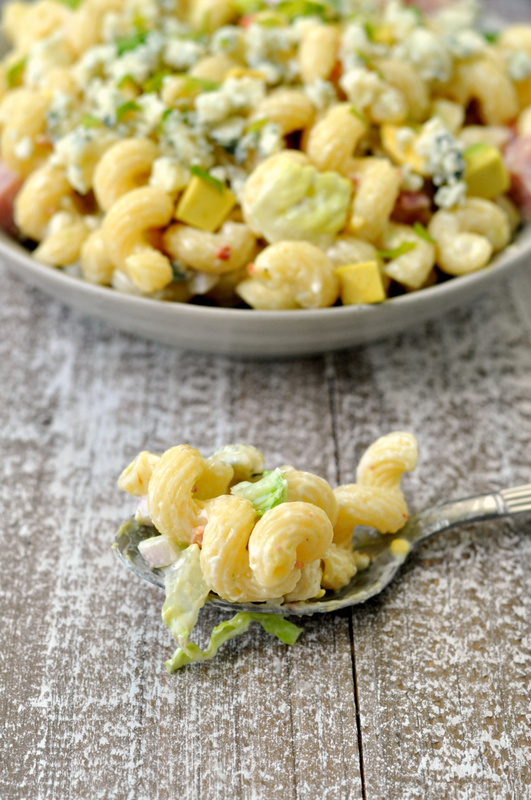 This pasta salad is always a huge hit whenever I make it. 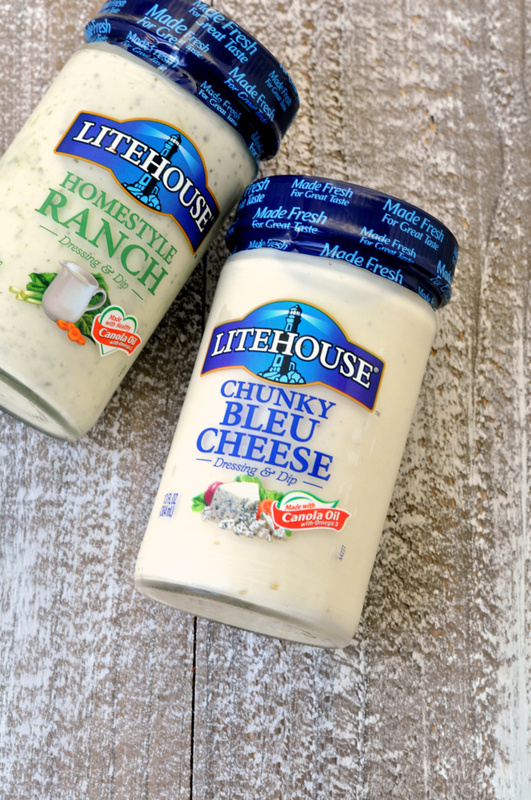 I love how simple it is to make and all the flavor it gets from the fresh ingredients and chunky Bleu cheese dressing. California cobb pasta salad is definitely a staple on the table at any summer BBQ or picnic we host. In a large bowl, combine pasta through tomato. Toss to combine. Refrigerate until 10 minutes before ready to serve. When ready to serve, stir in dressing. Top with avocado and bleu cheese. 1. If making this ahead, toss pasta with small amount of dressing to prevent it from sticking together. Then, just before serving, stir in remaining dressing. 2. If making this ahead, toss diced avocado with fresh lemon juice before adding to salad. OMG. That blue cheese and this salad LITERALLY made my mouth water. PINNED!!! Definitely making this later. Thanks! I had it for lunch yesterday. So good.